Above: MCAD Type II student Dan Sinclair, an impressive first effort among many. 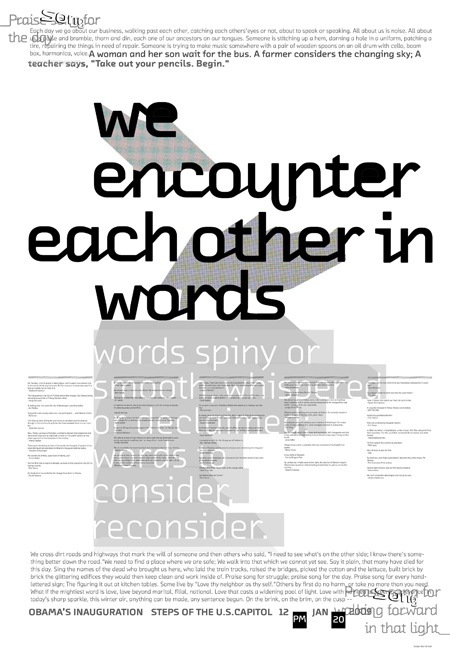 We are grateful to be working with Verena Gerlach’s recent typeface, FF Chambers Sans. Poster size is 24×36. Above: Josh. Tja, we agree, let go, and let type. 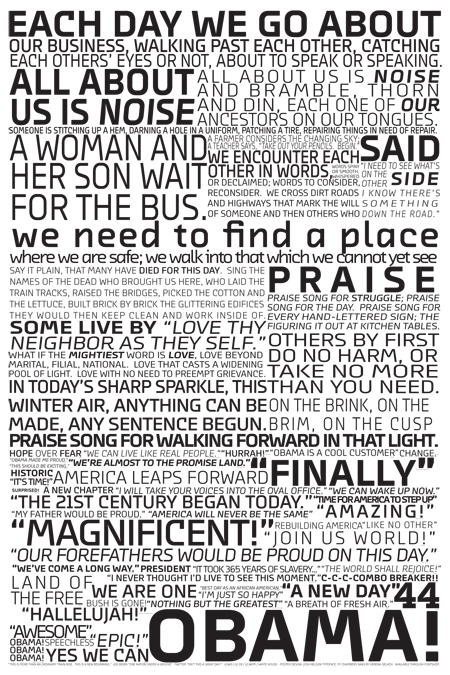 Text was chosen from the series of speeches on January 20, 2009. 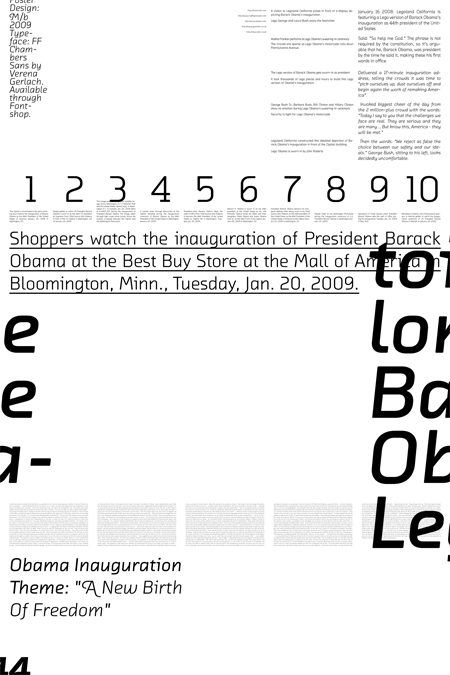 This entry was posted by Erik Brandt on Thursday, January 29th, 2009 at 9:48 PM	and is filed under Aktuell, Education, Graphic Design, MCAD, Minneapolis, Typografika, Typography.